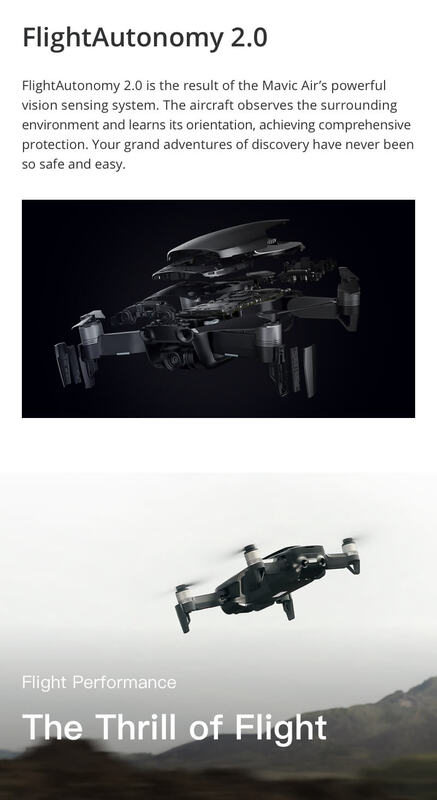 Mavic Air Intelligent Flight Batteries are made with high-density lithium, offering a substantial fl..
Easy to mount, secure, durable, and well-balanced propellers with a powerful thrust. ..
Overview The Mavic Air Car Charger is used to charge the Intelligent Flight Battery through t..
Overview The Mavic Air Battery Charging Hub is designed for use with the Mavic Air Intelligen..
Overview The Mavic Air Battery to Power Bank Adaptor is desig..
Reduces light by 2/3/4 stops to effectively avoid over exposure, so that you can capture great..
Overview Mavic Air Control Sticks are designed to be detachable. 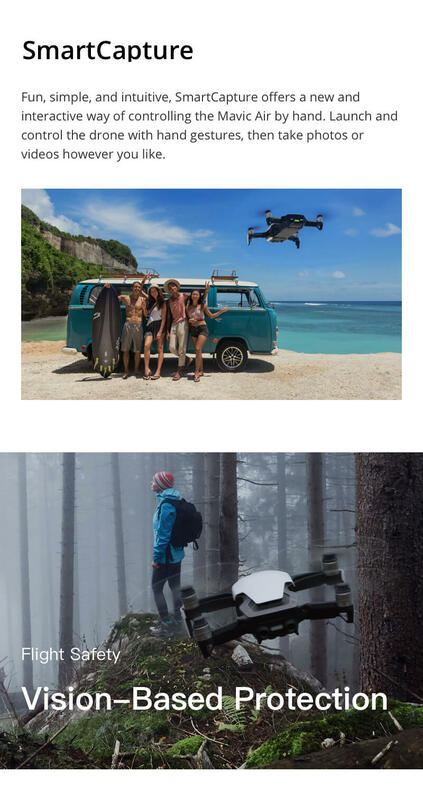 You can rotate and attach th..
Overview The Mavic Air Gimbal Protector is used to protect yo..
Overview The Carrying Case perfectly holds the Mavic Air airc.. 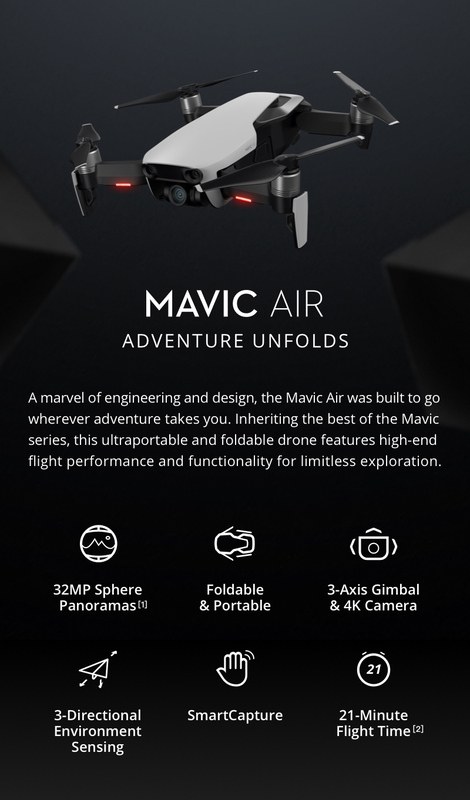 The highly anticipated DJI Mavic Air is here! In response to the demand for a more protective case .. LANDING GEAR RISERS FOR MAVIC AIR Prevent damaging the camera gimbal and staining the .. 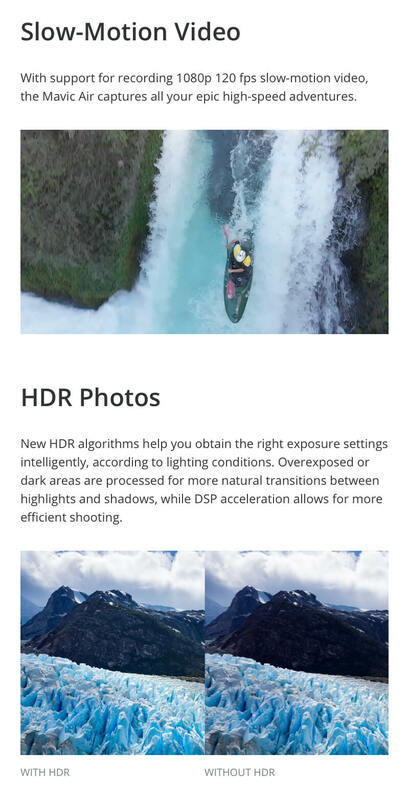 This ND filter set is a must-have tools for all Mavic Air pilot who want to shoot professional q.. 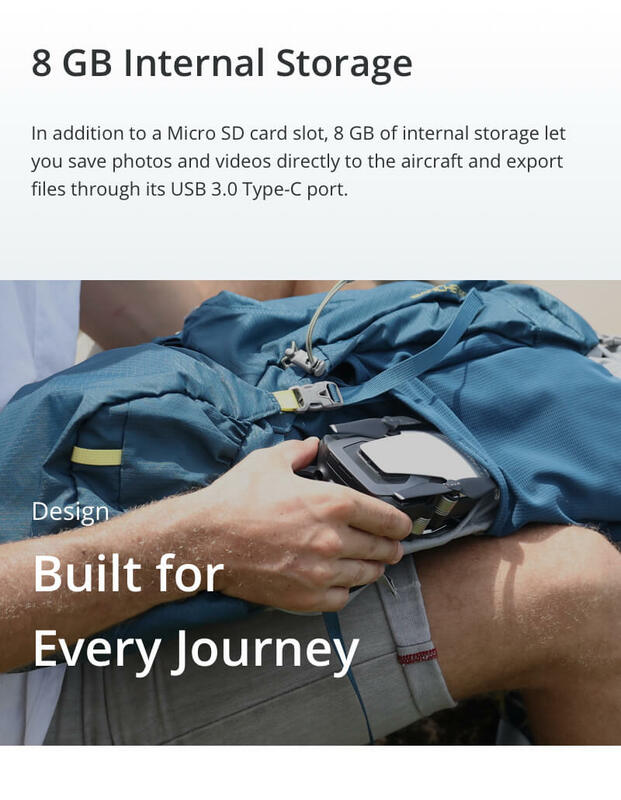 Carry your Mavic Air comfortably and securely with the PGYTECH Mavic Air Travel case. The hard shell.. 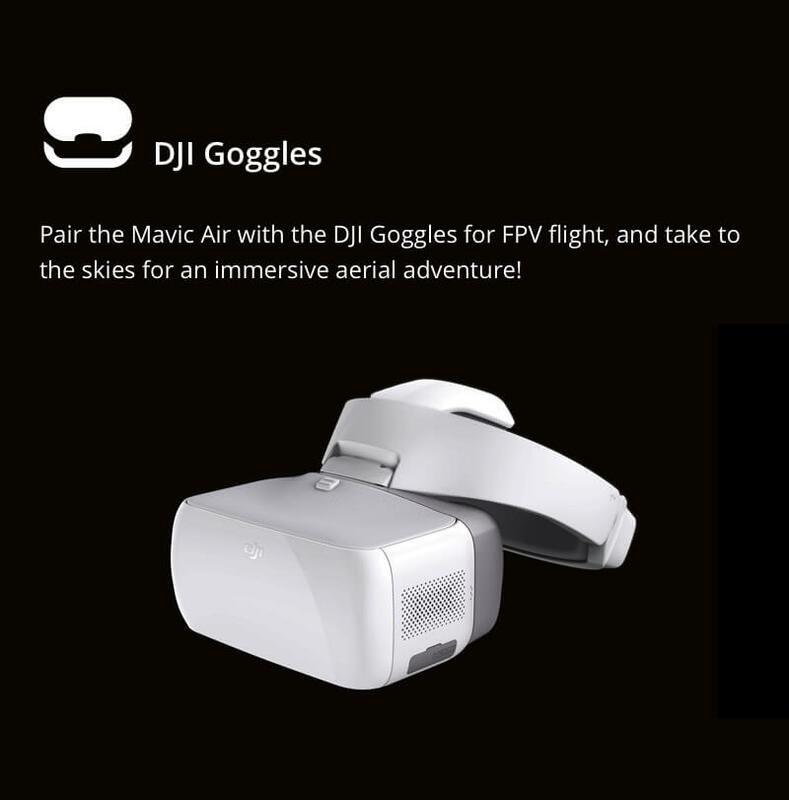 Minimize glare and improve contrast on your DJI Mavic Air with the PGYTECH Mavic Air Lens Hood ..
Overview The Mavic Air Battery Charger is used to charge the Mavic Air Intelligent Flight Bat..
Now you can simultaneously charge 3 Mavic Air batteries! The Energen EN-DM-MA18A delivers up to 60 w..
Save money with our specially designed Mavic Air Bundle Package. 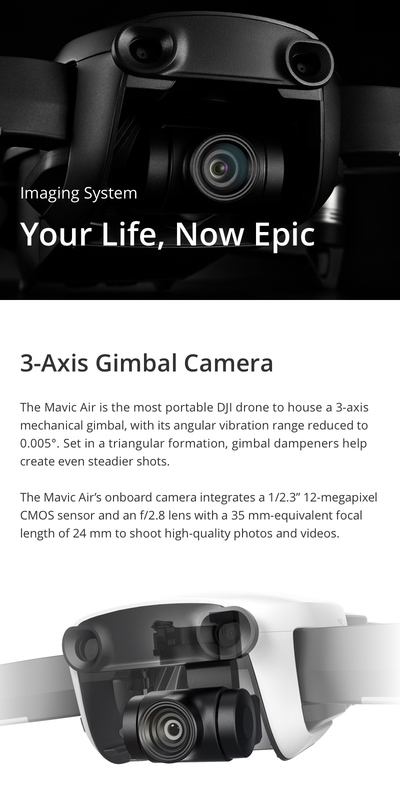 Bundle Contains: 1 - DJI Mavi.. 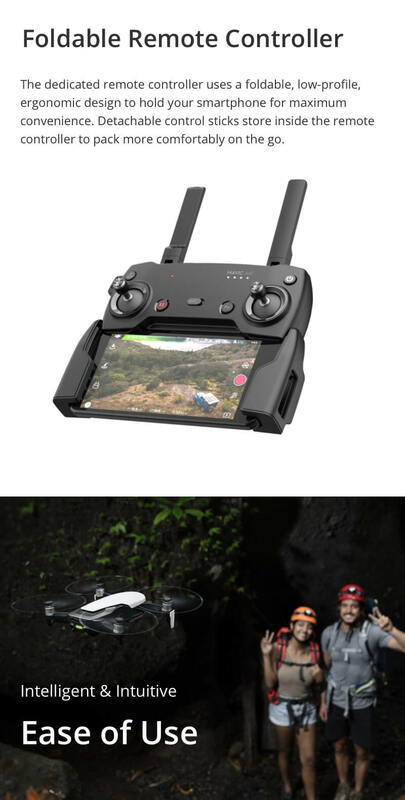 The FlightDeck is a mount that allows you to utilize any display with your Mavic 2, Mavic Air, or or.. 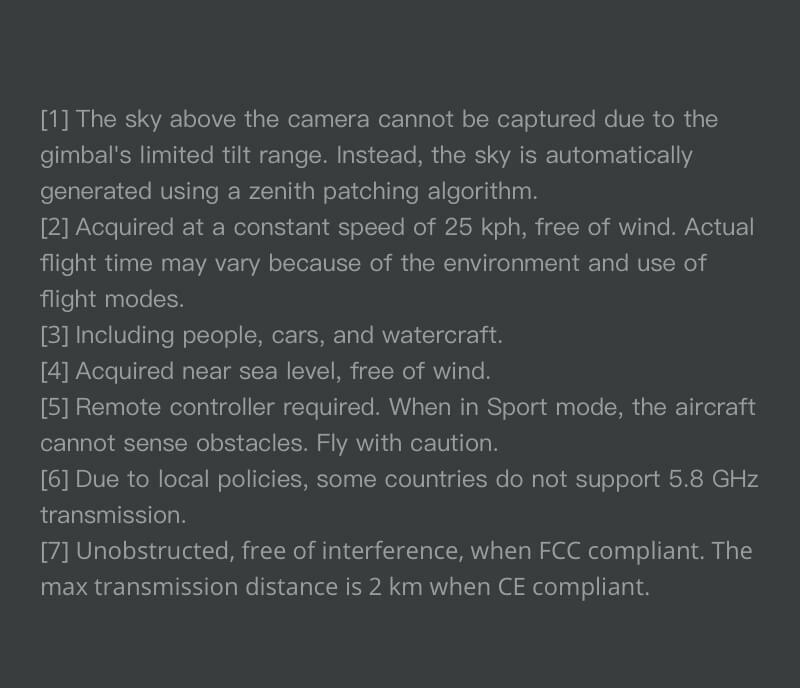 I switched to Mavic Air from GoPro Karma. It's compact size just can't be beat! I put it in my carryon along with other things while the Karma alone is the size of the carryon. It is easy to fly. I especially love the obstacle censors. When I was playing around with QuickShots, it send the drone into the woods. Thankfully, the censors stopped it from crashing into the tree. 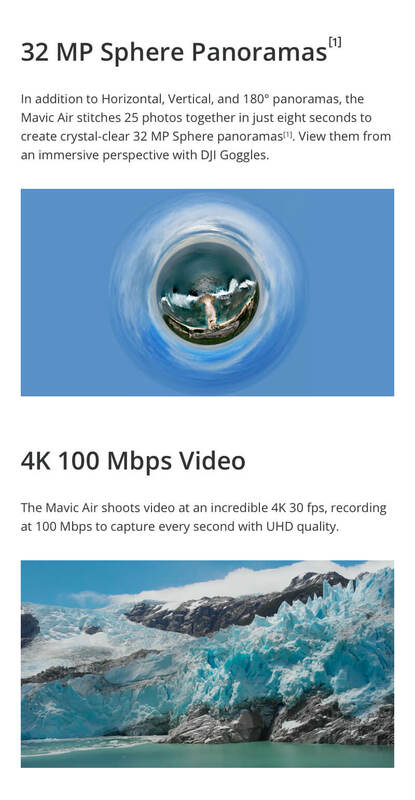 The video quality is great. Initially I thought FlyMore bundle would be over kill. I was wrong. I used up all 3 batteries very quickly on a day trip. The bag is well-design and sturdy. The software needs work and can be buggy at times. The user interface is poorly designed and not the most user-friendly. Getting start is cumbersome and confusing. I live in a cold place and bought it in the winter. I tried to fly it when the temperature was just above 32F to capture the snow with no success. The connection is bad when it's cold out. The manual did say the operating temperature is 32 or more. 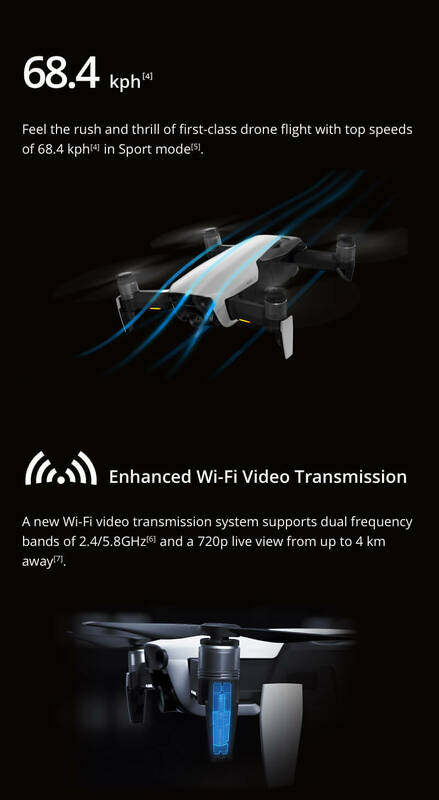 If you can get pass all that, it's a great drone to travel with. Go with the bundle. You won't regret it.